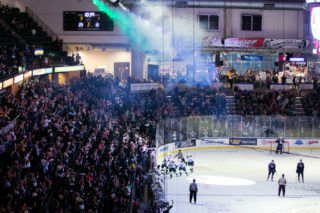 During the hot Snohomish County summer, there is no better way for local youths to beat the heat than hitting the ice and playing hockey, which is why the Everett Silvertips are excited to announce their seventh annual hockey camp schedule. 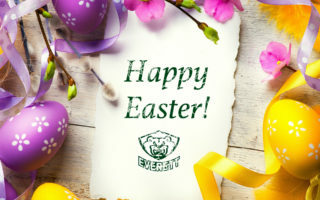 The goal of the Everett Silvertips Summer Hockey Schools is to enhance player development through qualified, professional instruction and innovative, challenging programs. The schools will focus on hockey fundamentals, skills, tactics and systems. 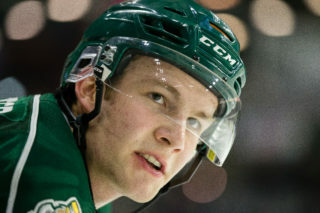 Our coaches and counselors will emphasize the importance of the characteristics the Silvertips expect of their WHL stars. A strong work ethic, teamwork and sportsmanship will be encouraged. 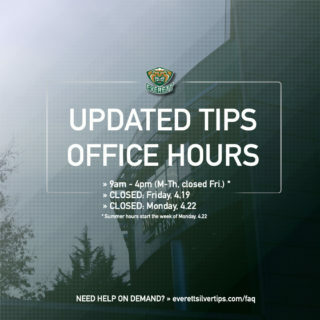 The Everett Silvertips Summer Hockey Schools mandate is to provide all of this for, your son or your daughter in an enthusiastic and fun atmosphere. Our camps feature professional instruction from current Silvertips coaches as well as from current and former WHL players. Instruction over the five day camp will include power skating, passing, shooting, positioning, small games, in-depth goaltending instruction and off-ice conditioning. The Silvertips will be conducting three hockey camps this summer at Comcast Arena from July 25-29. The Beginners Camp. In the Beginners Camp, we will focus on all the basics of hockey. Skating, shooting and passing are the three key elements to the sport that are essential for development as a hockey player. We will be guiding players through these skills in a fun and enjoyable way to promote their growth on the ice. July 25-29, 9:15 am to 11:15 am daily. The Defensemen Camp. The goal of the Defensemen Camp is to establish the core-teaching principles in young defensemen that we teach to our Silvertips players. Over the course of the week, we will touch on skating, stick skills, taking the rush, offensive skill and defensive positioning. We will also do a video breakdown of the previously mentioned skills as they occurred during this past season. July 25-29, 3:00 pm to 5:00 pm daily. Goaltending Camp. Join Silvertips Goaltending Coach Jordan Sigalet (Co-Owner of Pro Formance Goalie Schools) and his staff for a five day progressive goaltending camp. Each day will consist of two hours of on ice training. During the first day of camp the goalies will be split into groups based on their age and skill level. All campers will be taught to continually work towards improving their positioning skills. Once positioning has been understood and demonstrated consistently, students are ready to start learning the mechanics of stance, movement, challenging shooters, angles/grid, rebound control, behind the net play, playing the puck, screens, deflections, tracking the puck and directing play in the defensive end. These are all teachable skills that with our tested training methods have been shown to contribute to the exceptional development of goalies aspiring to raise their game to a higher level. All goalies are different, and there isn’t one cookie cutter approach to goaltending. We will work with each camper individually depending on their weaknesses and where they need the most work. July 25-29, 11:45 am to 1:45 pm daily. Each of the camps will feature professional instruction from Silvertips Assistant Coach Chris Hartsburg as well as former Silvertips defenseman Mitch Love and other former and current WHL players. 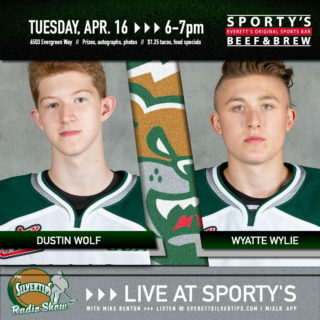 Our coaches and counselors will emphasize the importance of the characteristics the Silvertips expect from their WHL stars. A strong work ethic, teamwork and sportsmanship will be encouraged. The Silvertips Summer Hockey Camp mandate is to provide all of this for your son or your daughter in an enthusiastic and fun atmosphere. The Defensemen and Goaltending Camps are only $250.00 each and the Beginners Camp is $150.00. Space is limited. Enroll now before it is too late.